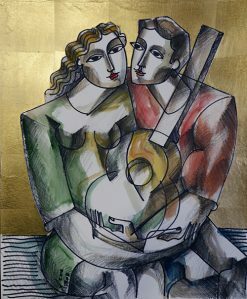 Couple with Music and Cat—Original Watercolor and Mixed Media on Board. 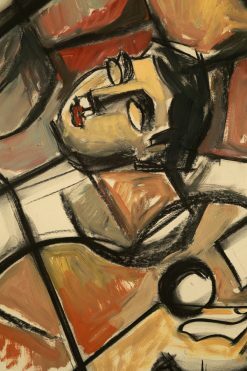 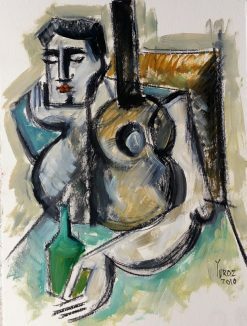 28 x 20 inches (71.12 x 50.8 cm). 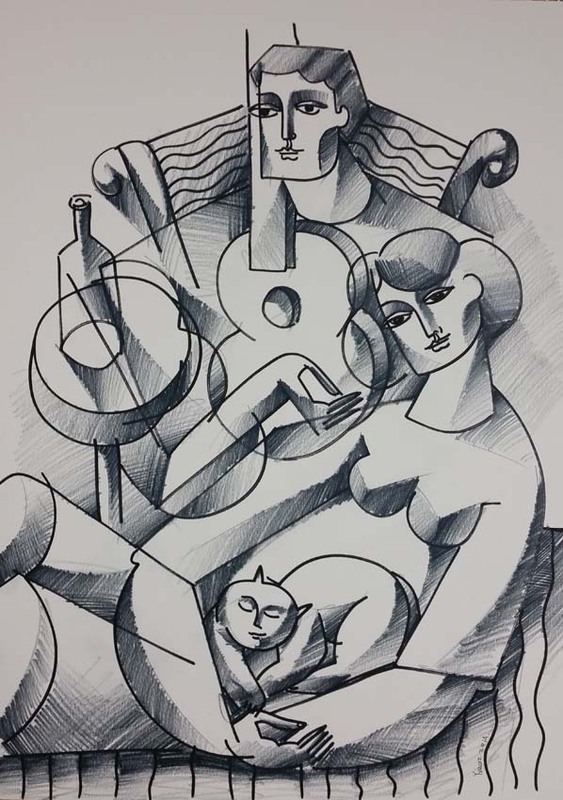 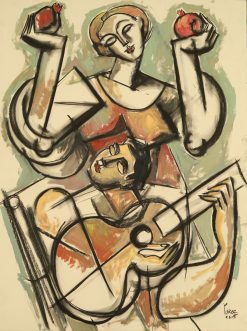 Couple with Music and Cat is an original work by Yuroz and is part of the exclusive Art Stage Singapore 2016 Collection.